A simple curry, ready in the time it takes rice to cook. Doesn’t need many ingredients. 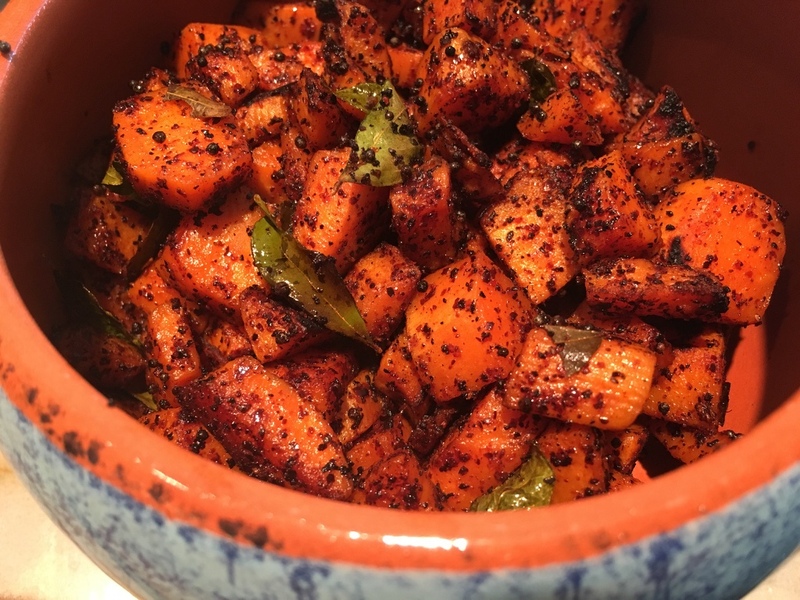 A quick, sweet and spicy sweet potato curry to go with rice as well as rotis. 6 ingredients at the most. 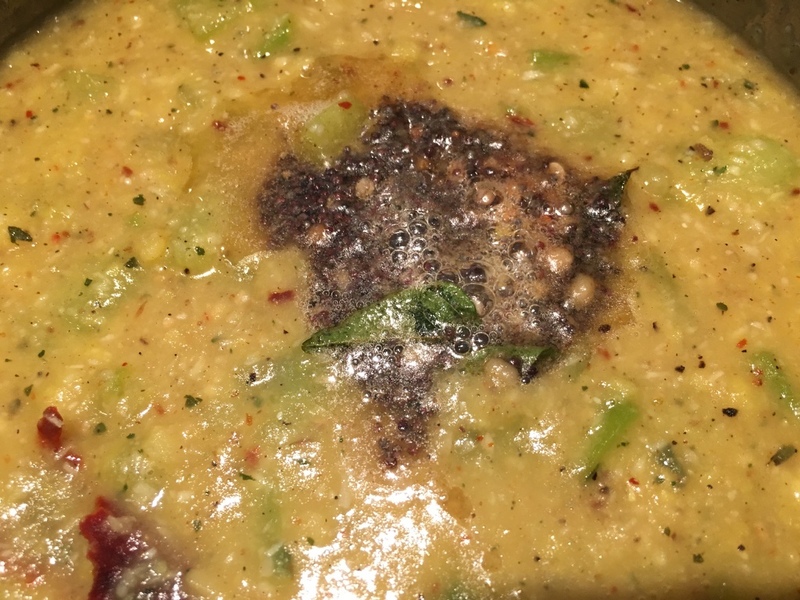 Kootu is a one pot meal, made with vegetables such as chayote squash, green beans, ash gourd, and one of the dals (toor or moong), mildly spiced, and eaten with rice. 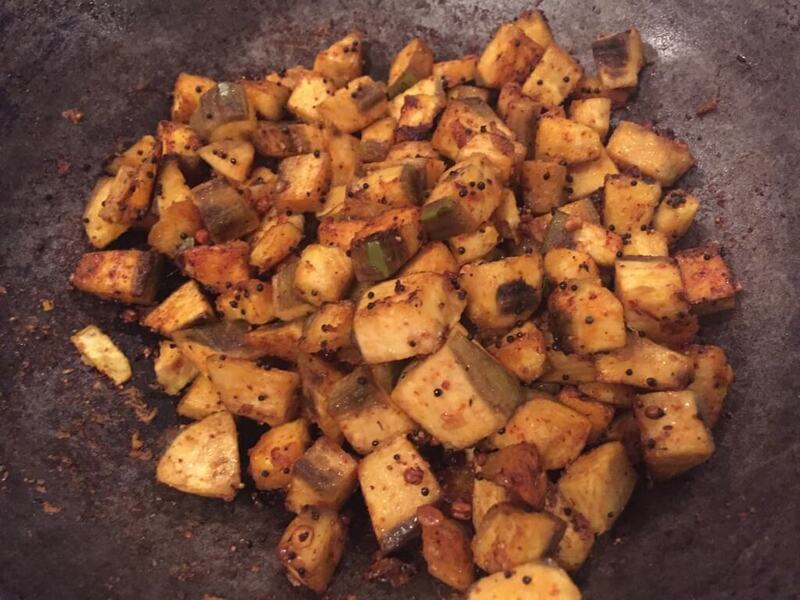 It is a healthy wholesome dish, providing carbs, protein, and vitamins all in one shot.